Your first stop will be China’s ancient capital; Beijing. Upon arrival you’ll be met by one of our expert guides and transferred to your hotel for some post flight relaxation to ready you for the days of exploration ahead. Here in Beijing we’ll arrange a unique experience by the way of a private Taiji lesson with a Taiji master in the stunning setting of Jingsan Park. Truly a one off. Afterwards, spend time immersing yourself in Chinese history at the Forbidden City and Beijing’s historic neighborhoods. Beijing is also the perfect base from which to discover the Great Wall of China, a popular stop on any tourist route. However, with the expert knowledge of our guide at hand, we’ll take you to a remote stretch of the wall in order to allow you to explore at your own pace and enjoy those panoramic views without the crowds. 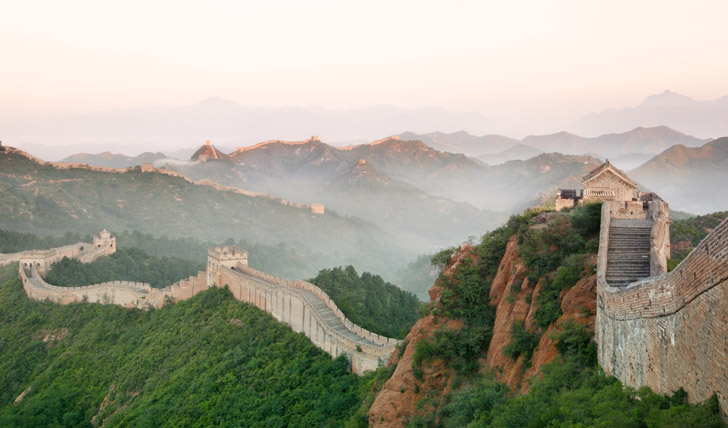 From Beijing you’ll ride the bullet train to Xian, one of the birth places of the ancient Chinese civilisation and one of our favorite stops along this journey. You’ll again be met by your private local guide and a car before you head straight to the Muslim quarter to enjoy some mouth-watering dishes from an array of vibrant and colorful food stalls. Here you can indulge in a delicious dumpling dinner before heading back to your hotel ahead of some more sightseeing. No trip to China would be complete without witnessing the breath-taking spectacle of the Terracotta Warriors Army and Stele Forest, so we’ll organize a trip to both for you, as well as a bike ride along the Ancient City Wall for a glimpse into the heart of Xi’an. History and a bit of adventure? Check and check. After a few days here we will fly you to Guilin where we’ll have you board the beautifully serene Li River Cruise upon which you can relax and enjoy the scenic route to Yangshuo. Yangshuo boasts some stunning scenery and is enriched by the different cultures of the ethnic minority groups that reside there. During your time here you can take up the opportunity to watch a local fisherman practising the age old method of Cormorant fishing, a truly unique experience that will give you a taste for the traditions that run deep through the veins of this district. On another of your mornings here, take your time browsing through the markets as you collect ingredients for your private cookery class and, after lunching on your marvellous creations, set off on an idyllic bamboo raft ride downstream, the perfect way to make the most of the spellbinding setting of Yangshou. Now it’s time for your final stop: Shanghai. As one of the biggest cities in the world, it’s pretty easy to be overwhelmed by the opportunities for exploration here, but don’t worry, we’ve picked out some iconic and unusual highlights. We’ve got this covered. After being transferred to the lavish Waldorf Astoria for some time to freshen up and relax in your room, we’ll have a table booked for you at a luxury restaurant along the infamous Bund. Walk off this delicious meal with a slow stroll along The Bund itself, one of the most famous destinations in Shanghai. After a night resting up in your luxurious suite, it’s time for a culture filled morning where you’ll visit the Shanghai Museum and wander the pavilions and arched bridges of Yu Garden, the most well preserved classical garden in urban Shanghai. 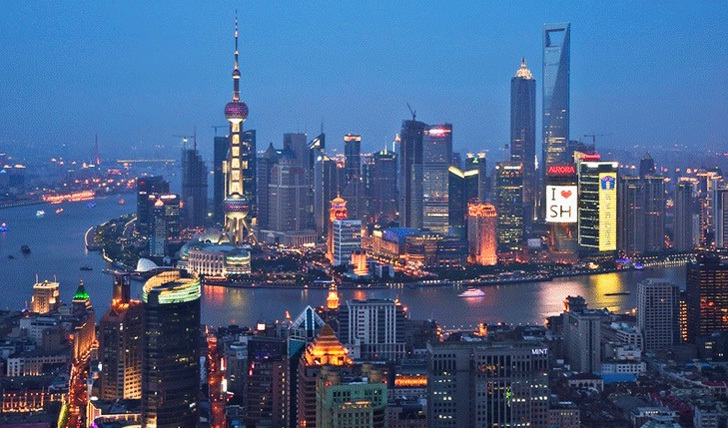 On another of your days spent in Shanghai you’ll be heading out on a walking tour through the elegant tree-lined streets of the French Concession, followed by a Huangpu River Cruise, all of which we will have arranged for you before you depart. After three days in Shanghai, your trip has finally come to an end and on your day of departure we’ll have you boarding the infamous Maglev Train which will transfer you to the airport at 400 km/hr, a fast and unique way to end your Chinese adventure.